As per strategy, BJP has 43 lakh registered members all over the State out of which 24 lakh have been verified physically up to the booth committee and will further increase in the coming days. RANCHI: Fixing a higher target, Bhartiya Janata Party (BJP) eyes 1 crore votes in 2019 Parliamentary Elections in the State. 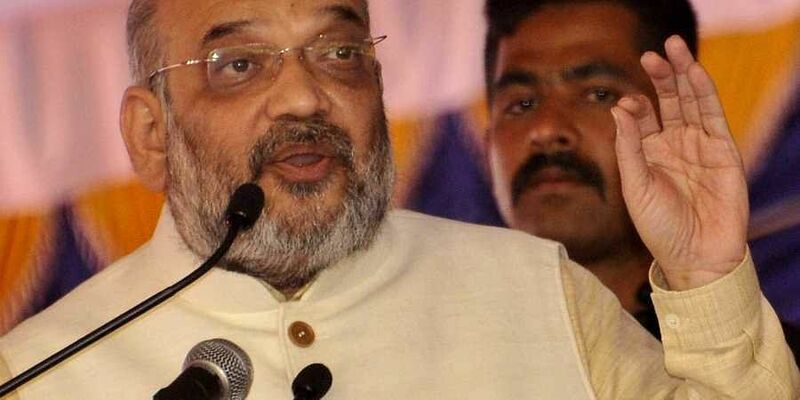 During his day long visit to Jharkhand on Thursday, National BJP President Amit Shah has discussed the issue at large with Core Committee and Election Management Committee and has directed them to focus more on increasing the vote percentage rather than just winning all 14 seats in the State. Currently, BJP has 12 MPs while the other two seats belong to Jharkhand Mukti Morcha (JMM), which also enjoys the credit of having second largest seats in Jharkhand Assembly after BJP. "If everything goes accordingly, we will not only win all the Lok Sabha seats in 2019, but will also become a party with largest vote percentage in the State with more than 50 per cent votes in favour of BJP," State BJP Vice President Deepak Prakash. In the meantime, the National Party President has asked to strengthen the party at the booth and 'mandal' level, he added. As per the strategy, BJP has 43 lakh registered members all over the State out of which 24 lakh have been verified physically up to the booth committee and will further increase in the coming days. Amit Shah has directed all these verified workers to ensure at least 4 votes in their family, friends and near and dear ones in 2019. "By 2019, the number of verified workers to go above 25 lakh and if each of them succeeds in convicting at least 4 votes, number of voters will go up to 1 crore which itself will be a record in the State," said another senior party leader requesting anonymity, he added. If the voting percentage goes up, all 14 seats will automatically get into the BJP fold, he added. Number of electors during 2014 Lok Sabha Elections was 1, 99, 58,394, having 20.88 per cent voters in the age of group of 18-25. To ensure maximum percentage of voters, BJP has been making efforts to placate more and more youth votes. As per earlier records, BJP has the credit of securing maximum vote per cent in its favour during the last three Lok Sabha Elections with 33 per cent votes and 1 seat in 2004, 28 per cent and 8 seats in 2009 and 40 per cent votes with 12 seats in 2014.